Added by Bill Bowman on March 31, 2019. 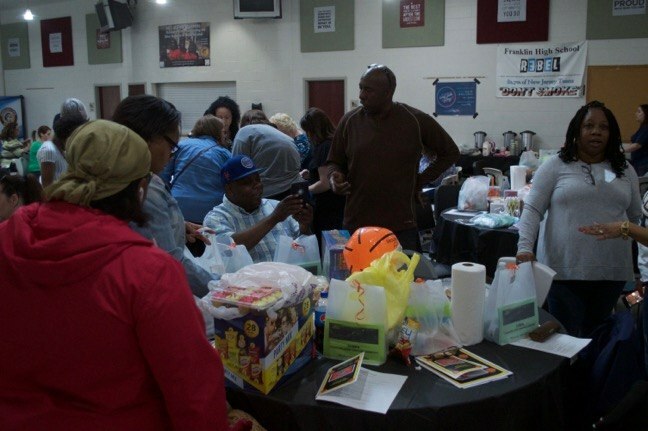 Tricky Tray attendees review the baskets available at the March 30 event. 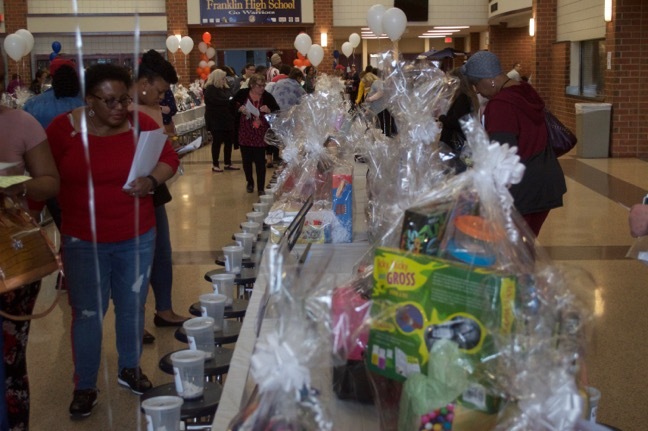 “March Madness” descended on Franklin High School March 30, in the form of the annual Franklin Middle School PTSO Tricky Tray. 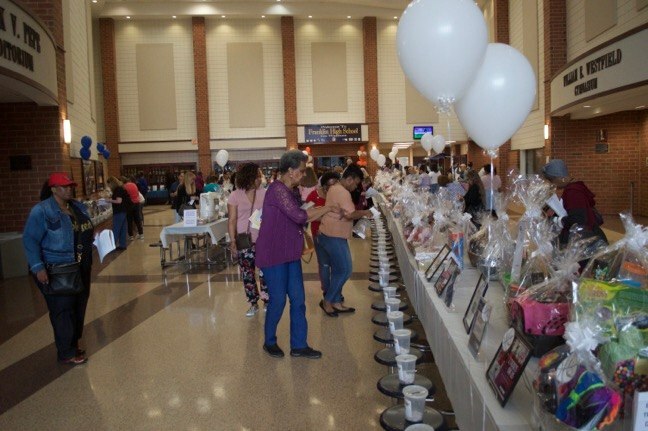 Hundreds of baskets lined tables set up inside the school cafeteria and in the events lobby. 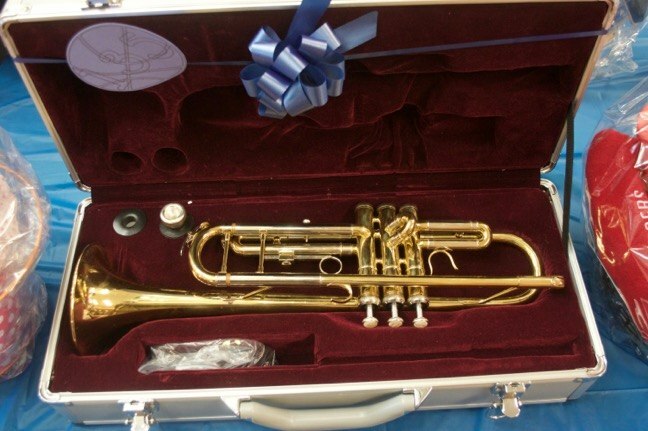 The baskets were comprised of a wide variety of items, from toys to travel certificates to household appliances. 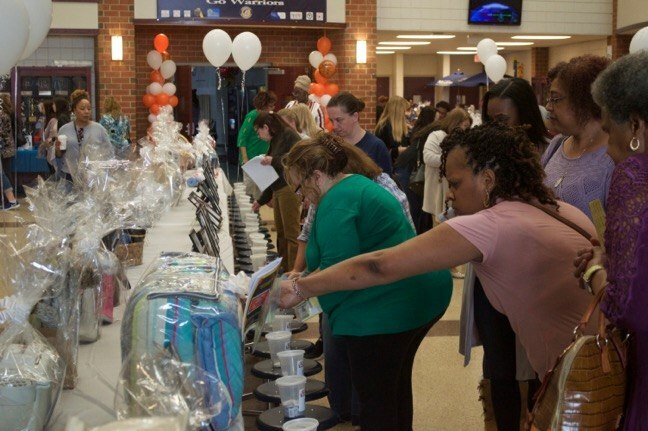 Money raised through the Tricky Tray is used to fund extra programming and events at the middle school’s two campuses, Hamilton Street and Sampson G. Smith. 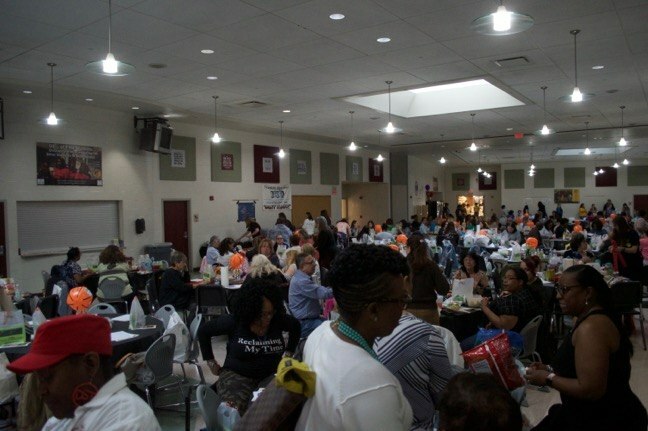 As it was last year, the event was organized by Monique Severino and Ty-Wanna Cotten. 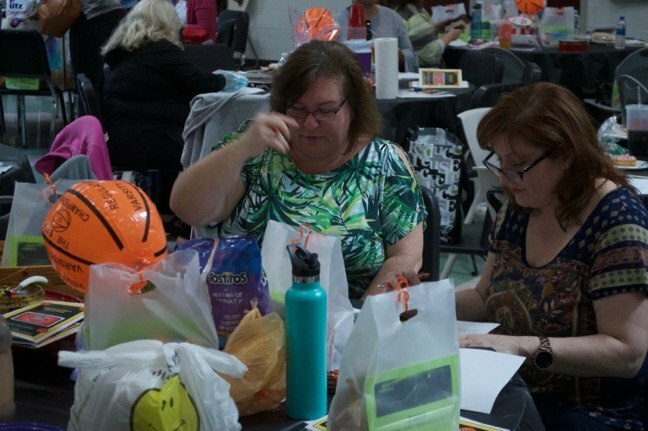 “There are a lot of times where there’s a school budget, and then there’s times when funds are needed for things that the kids may want or need, so that’s where the PTSO comes in, and we’re happy to fill in the blanks,” Severino said. “We’ve raised $30,000 last year, it went to different things like field trips and workshops for the kids,” she said. 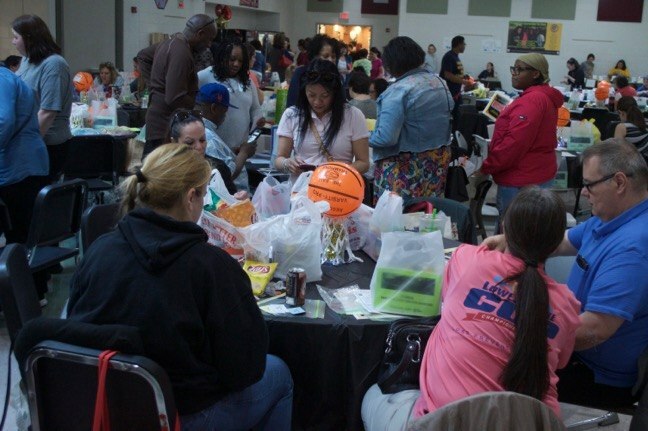 Cotten said that she and Severino had been thinking about holding a tricky tray fundraiser for a number of years, and the opportunity to do so came last year, when their sons’ 8th Grade class needed money to hold a class dance. Severino said the two were “super excited” about the gifts that were up for grabs. Severino and Cotten thanked their “team” for helping them put the event together. Severino said they did not yet know where the money raised in this year’s event would be used. 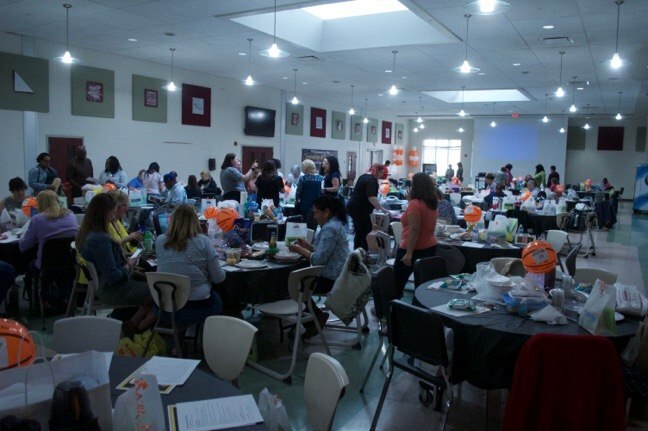 “We have to look at what the requests are and see that they fit in with the needs of the kids and the school,” she said.